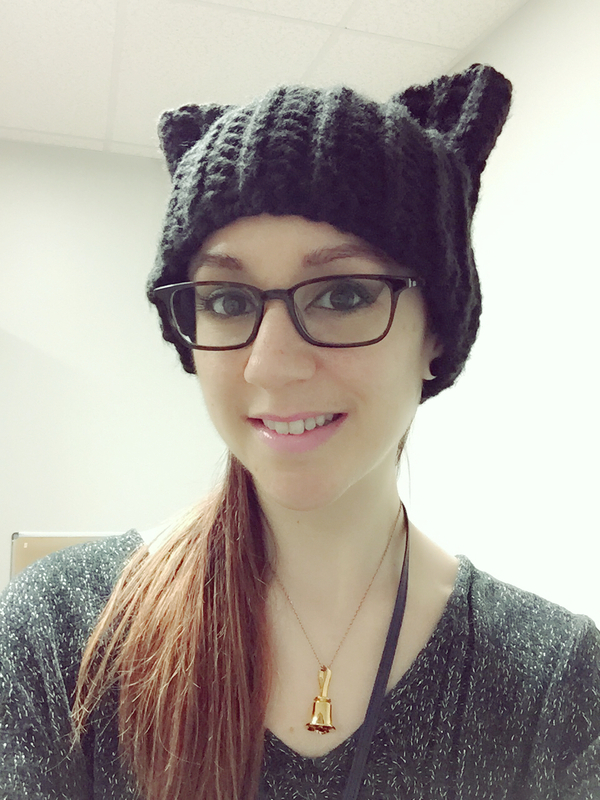 Do you have a pattern for the kitty hat you are wearing in your picture? Sure! It’s here: http://www.ravelry.com/patterns/library/black-cat-slouch-hat I just didn’t do the band. Hi Hannah, thanks for sharing your patterns. Is there a pattern for your Christmas baubles, please? They came from an old Annie’s Attic booklet. It’s a bit hard to find but I believe it was called “Sprintime Satin Balls” and can occasionally be found on Amazon or Ebay. Hope that helps! Hi.. Hannah.. I read where you hoped or that you might post a pattern for your, “More Granny Goodness” shawl! I am responding to let you know that I would VERY MUCH enjoy having that pattern. I would use your pattern to make this lovely design into a throw/Afghan for my home. Your work is incredibly good. Love to see all the things you create! Thank you for sharing your As we go stripey pattern. It is so pretty. I am trying some of the stitches, I love to crochet but I’m not very good at it. I am always having to take stuff apart because it ends up crooked. Most of my issues seem to be when i get to the last stitch in a row. It seems like its not even and i add a stitch or something. Any advice? Can I get the pattern for the cacti? Thanks! I’m glad you like them! They actually aren’t my patterns, however I did improvise some of them. I got them by searching Ravelry for amigurumi cacti. I think your stripey blanket is so beautiful and its almost like a sampler blanket where you use different stiches. I did a sweater like that but it never occurred to me to do that with a blanket the way you did and I am glad that you thought of it and its beautiful I will take a picture of mine and see what you think ok so thanks again for a beautiful idea!!!!! I’m glad you like it! It’s my understanding though that the only way to get the pattern is through the magazine — I’m pretty sure I’m not allowed to share it. 😦 You might still be able to buy a digital copy of the magazine online though! Some crochet magazines do that.